In 1924, Clara Davies, the hotel keeper's wife, and the Rev. Allan Brayside, an Anglican minister, collected and pooled books for the residents of the Houston area to use. A local paper reported in 1925, "One of the most successful features of Houston is it’s library. Commenced by the (Community) Club last year, it has gone on and on and now has readers in a distance of 20 miles." However, library services were sporadic in the following years. In 1946, the Women's Institute was organized in Houston, and one of their first concerns was the development of a library. Postmistress Nora Newgard worked hard to provide reading material to Houston residents, bringing in books via a travelling library from Prince George in the late 50s and early 1960s. For a while these books were displayed on shelves in the post office, and local residents going into town for the mail would return with a few books to read as well as bills and letters. During the 1950s, books collected by the Parent/Teacher Association were housed at the home of Mr. and Mrs. Ron Morse. Later, during the early 1960s, these books were made available in one of C.R. Matthews' offices in the Bank Building on Hwy. 16, where early volunteer librarians included Helen Harkema and Kay Sjoden. There was an attempt to form a Public Library Association in 1960. Houston Council supported this move, but as there was a very poor showing at the public meeting that was called, the North Central Library Association did not allow the formation of the organization. However, four years later, on November 19, 1964, the following are listed in the Declaration for Formation of the Houston Public Library Association: Bill Stad, William Charles Davis, Elnora Smith, Helen Harkema, Audrey Van Der Wijk, Hendrick Fennema, Margaret Morse, Margaret E. Penner, and Mary J. Harris. The first library board organized that November consisted of Mary Harris, Margaret Penner, Katie Ignas, Elnora Smith, and Bob Matthews. A short time later a library was set up in the old doctor's office next to the community hall. In the first month, 327 books were checked out. The library was operated by volunteers and funded by municipal and government grants as well as donations from community organizations. The Houston Women's Institute was a driving force behind the library, establishing the first committee to plan a Library Association, and later offering financial support. The official certificate verifying the incorporation of the Houston Public Library Association under the Public Libraries Act is dated January 28, 1965. In 1967, a new library was built next to the new Houston Fire Hall as a Centennial Project. The library became very popular in Houston, with book circulations of over 1000 per month by 1975. With the coming of the new sawmill (now Canfor), Houston's population grew and so did the need for a bigger library. In 1977 the library moved again - this time into new premises in the municipal office building. Library use continued to grow - in July of 1978, total circulation was 1,674 books. By now the stock at the library was over 9000. 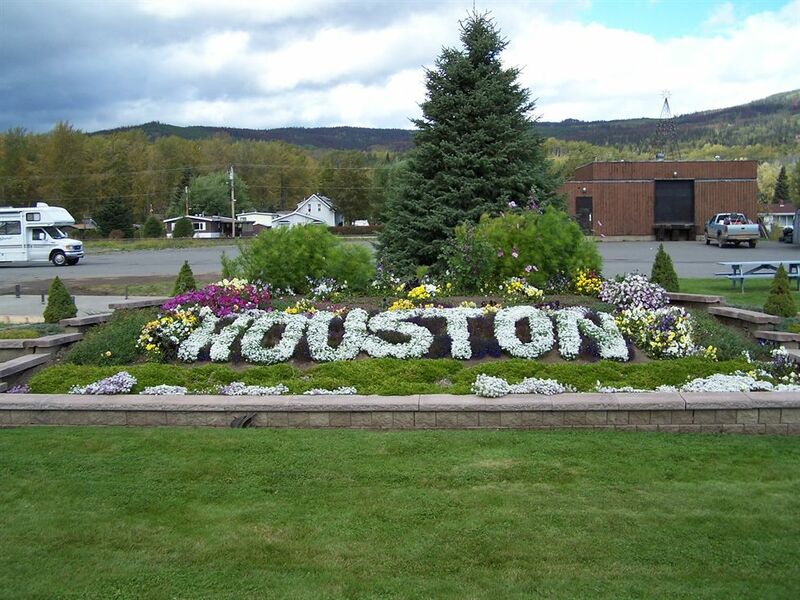 In 1978, Houston Forest Products opened, followed in 1980 by the Equity Silver Mine. More families moved into the area. The Houston Health Centre became too small for the community, and a new medical facility was built. The library board jumped at the chance to take over the old health centre, and was successful in its bid. After extensive renovations, with the District of Houston contributing $50,000 toward the estimated $80,000 price-tag, (the Library Association raised the rest), a new library facility opened. In January 1984, the 10,000 books and periodicals and tapes were moved into the facility that continues to serve the community of Houston in 1999. The renovated health centre was renamed The Goold 'Pioneer' Memorial Library, in memory of those who were first in this area, using the name of the Goold family to symbolize the spirit of those early settlers. The Library Association celebrated its 25th anniversary in November 1989. At that time there were 1150 borrowers registered at the library. In 1997, the library became automated and on-line, with computerized check-out and search options as well as internet access. In her annual report in February 1999, Chief Librarian Janet Marren reported that Houston library patrons now number in the area of 2,700. Average monthly circulation in 1998 was 3,100. The library offers a wide variety in its collection of more than 18,500 items: junior and adult books as well as audio cassettes, video cassettes, and CD-ROMs. A sophisticated inter-library loan system gives Houston residents access to library collections throughout B.C. The Houston library continues to operate, for the most part quietly and without a lot of fanfare, as a solid and indispensable feature in this community. It is one of the last community services that offers so much for so little, and is the result of the hard work of many early volunteers who had the foresight to anticipate a need and worked to fulfil it.